1. Governor Jerry Brown introduced his own tax-the-rich ballot measure yesterday, arguing that the state can’t afford to pay teachers and cops without it, the Chron and CoCo Times report. Brown’s plan, which sunsets in five years, would raise taxes on those who earn more than $250,000 a year by 1 percent, and 2 percent for incomes above $500,000. It also would increase the state sales tax by a half-percent. The governor’s proposal is one of several tax-the-rich measures proposed for the 2012 ballot. Members of the Occupy movement are backing a separate one that would raise taxes on people making more than $1 million by 3 percent, and 5 percent for incomes above $2 million, The Bay Citizen reports. 2. East Bay MUD has shelved a controversial plan to build a massive dam on the Mokelumne River in the Sierra foothills, the CoCo Times and Chron report. The dam would have expanded an existing reservoir and destroyed a scenic stretch of the Mokelumne. 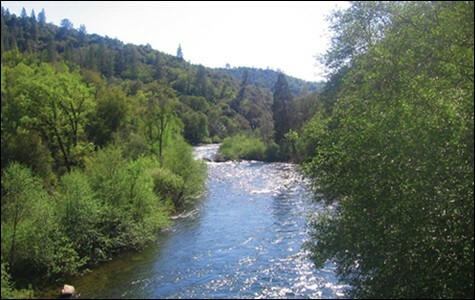 Sierra foothills residents and environmental groups strongly opposed the dam. East Bay MUD said it would instead look at collaborating with the Contra Costa Water District on its planned expansion of Los Vaqueros Reservoir in the East Bay. 3. NASA astronomers announced the discovery of a distant planet that appears to be hospitable to life, the Chron reports. Dubbed Kepler 22b, the planet exists in the so-called habitable zone, meaning that it’s close enough to its own sun to support life forms. The planet is roughly 2.4 times the size of Earth and 600 light years away. UC Berkeley astronomers, meanwhile, announced the discovery of two massive black holes that are large enough to swallow entire solar systems. The black holes are about 300 million light years from Earth. 5. And the San Francisco 49ers planned move to Santa Clara may not be a done deal after all, the Mercury News reports. The 49ers’ proposal includes the largest loan ever taken out by a public agency — $850 million — for a new stadium in NFL history, and critics contend that taxpayers could be on the hook to pay back that loan if the Niners can’t afford or don’t live up to their promise to do it.